Jason grew up in greenville, went to mauldin high school and used to park cars for the peace center in the gravel lot that is now hampton inn/riverplace. 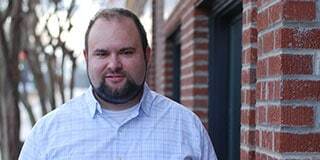 He started his own company last year – Greenville Webworks. 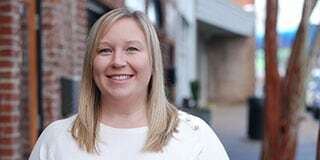 Lindsey grew up in the small town of Perry, GA and moved to greenville six years ago. She is absolutely in love with Greenville and it’s beautiful downtown. Lindsey is currently a web developer at the USC School of Medicine Greenville. 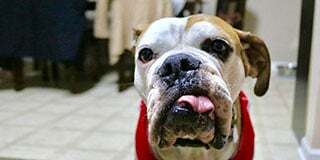 Mick is an eight year-old, olde english bulldog. He’s lived most of his life in Greenville. He loves to walk downtown and especially loves it when people shower him with attention. If you see him walking downtown, come say hi. The site was born in January of 2016 as a way to catalog and index all the new places being built or re-purposed in Greenville. We would drive around and see new places being built and wonder what they were going to be, and occasionally see a news article posted online about the latest mystery building project. We decided to make the focus of Greenville on the Rise uncovering those mysteries and cataloging them and finding as much information on them as we could. 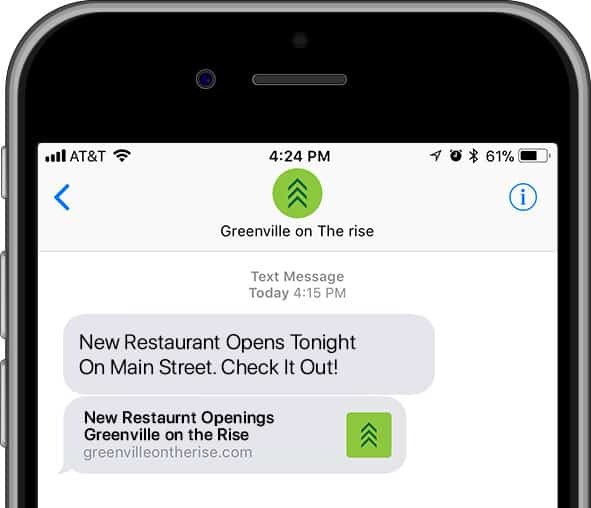 Greenville on the Rise is built with WordPress and a little proprietary coding to make it do some of the things we wanted. We host with WPEngine for speed and security, and Utilize Facebook Instant Articles for a better experience for our Mobile Facebook users. We pride ourselves on the speed, simplicity and clean design of the site, it’s not bogged down with numerous ads, and we’re not great copywriters, so we tend to keep the articles short. Hosting is paid for mostly out of our own pockets, the content is generated primarily by us, and occasionally community members. We don’t run any native advertising on the site, just a few Facebook Audience Network ads on our Facebook Instant Articles. We’ve recent started offering Video Production and Google Street View as a service to our business partners to help generate a little revenue. It’s been mainly a hobby for Lindsey and Jason – a good excuse to get out and experience all the new stuff coming to Greenville.